Continuing their advance in north Syria against the Islamic State, the Kurdish-led Syrian Democratic Forces have captured the Tishreen Dam on the Euphrates River. The SDF was founded in October, with the Kurdish militia YPG in the lead and support from Arab, Assyrian, Armenian, and Turkmen units. The group has received some backing from US-led coalition airstrikes and deliveries of arms and ammunition. 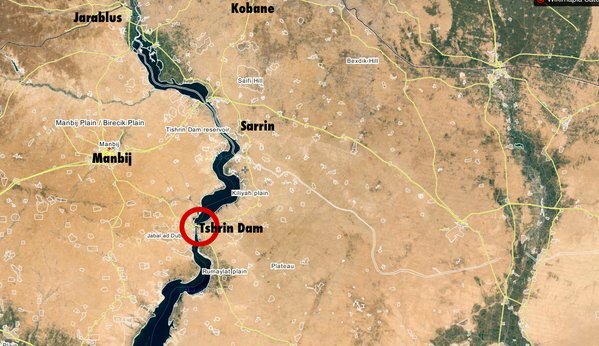 Last week, the SDF began an offensive on Tishreen, located 90 km (56 miles) east of Aleppo city, and one of three major dams across the river. 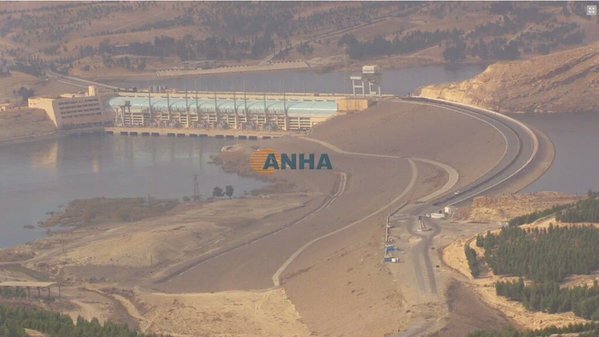 The forces advanced 20 km (13 miles) in a few days and announced control of the Dam on Saturday afternoon, moving to the western side of the Euphrates. Videos showed Kurdish fighters celebrating and firing on retreating Islamic State units. Tishreen, built in the 1990s, was captured by rebels in November 2012. The Islamic State took control in an advance in 2014 through northern Syria. Film director Naji al-Jerf has been killed by masked gunmen in Gazientep in southeast Turkey. Jerf was known for his work challenging the Islamic State, including for the group Raqqa is Being Slaughtered Silently. In late October, another member of the group, Ibrahim Abdul Kader, and his friend were killed and beheaded in the city of Urfa on the Turkish side of the Syrian border. ISIS is suspected of the murders. The Syrian opposition are threatening withdrawal from any process for a political resolution, following Friday’s assassination of rebel leader Zahran Alloush. Conditions now are not appropriate for the resumption of negotiations due to Russia’s escalating bombardment of civilians and the mainstream armed opposition. It is as if the international community was indifferent to the political process in Syria. Alloush, the head of the leading faction Jaish al-Islam, was killed along with five other senior members by an airstrike in Otaya, northeast of Damascus. Russia sought to thwart the political process by assassinating Alloush. The Assad regime and its allies are working desperately to foil the political process as any political solution would lead to the departure of Assad. The assassination of Zahran Alloush, who officially agreed to engage in negotiations with the Assad regime, is a clear message to the Syrian opposition as a whole that the talks about a political solution are just a verbal hoax. The assassination also means that the Russians and Assad have already taken a decision to liquidate all rebel leaders. 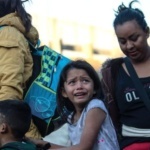 While this despicable crime represents a heavy blow to the negotiating process itself, it undermines the credibility of the 20 countries that endorsed it. Following the third international meeting on the political process last week, the UN has said that it envisages opposition-regime talks in late January. Jaish al-Islam was among rebel groups at the Saudi conference and has a representative on the negotiating committee. The incidents taking place today in the blessed land of Shaam [Syria] with the rushing forward of the enemies from the Nusayri [Alawite] regime, the Rafidha [Shia Muslim militias] of Iran and Iraq and Lebanon with support and participation of the Russian planes are not hidden from anyone. So the battle today is no longer against the Russian regime but rather against the Rafidha who have arrived with their hatred towards the Ahlu Sunnah [Sunni Islam] from every direction. Activists are warning that the Syrian military may try to overrun Modamiyeh, the long-besieged suburb southwest of Damascus. Regime forces reportedly cut off the only remaining road into Moadamiyeh, which has been surrounded by the Syrian military since 2012, as officials warned of a ground attack rebels disarm, surrender unconditionally, and leave by Monday. Activists said the message was delivered during a meeting between the town’s negotiation committee and representatives of the regime, headed by Wafiq Lotf, the owner of the al-Kawthar TV channel. About 45,000 civilians remain in Moadamiyeh. A truce was agreed in January 2014 after months of a regime “surrender or starve” strategy in which more than 100 people died of malnutrition. Despite the agreement, the Syrian military has restricted food and supplies and prevented people from moving into and out of the suburb. Last week, amid heavy fighting in nearby Darayya, the Syrian air force used chemical weapons that killed 10 people, according to doctors and local activists. See Syria Developing: Another Regime Chemical Attack Near Damascus?